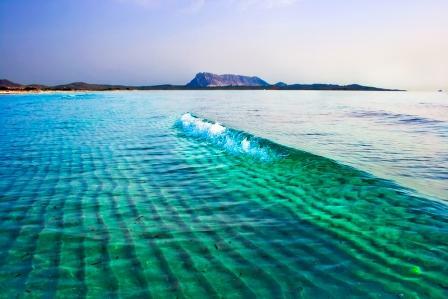 55 kilometers long, this sliver of elegant coastline is located along the northern end of the island of Sardinia. This is created elegance, as the brainchild of the Aga Khan and a group of investors, this strip of land along the sea has beautiful white beaches, private jet and helicopter access, the urban planned town of Porto Cervo, and stylized landscape with homes built within a preset look, a rather stylized Tuscan look. 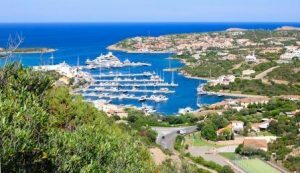 The Costa Smeralda is a great yacht charter location, including the Maddalena Islands, and the southern coast of Bonifacio. Costa Smeralda was “born” in 1961, with the group of developers and well known architects that sculpted this shoreline as a playground for the rich and famous. 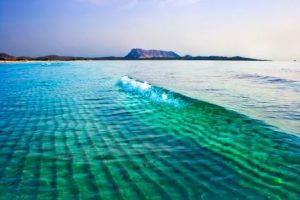 The luxury hotels of Cala di Volpe, Hotel Romazzino, Hotel Pitrizza, and Cervo Hotel, form a core of luxury living with high level restaurants and bars. It is easy to come in by charter yacht and enjoy a drink at one of these luxury hotels. The created town of Porto Cervo offers outstanding luxury shopping. This is a great walking town, set at the head of a small protected bay with an anchorage and marina. 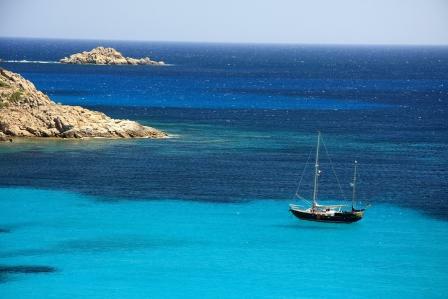 In September the Sardinia Cup Sailing Regatta is held off of this coast centered on Porto Cervo. And for other draws, there is a superb golf course, regular polo games, a film festival, and a vintage car rally. However it is really the natural beauty of this coastline that provides the biggest draw. 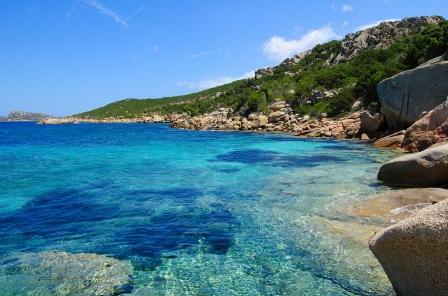 Costa Smeralda means “Emerald Coast” and the crystal clear blue green waters are a testament to this name. The landscape is white rock, greenery, and white beaches all reflected in the sparkling clear waters. 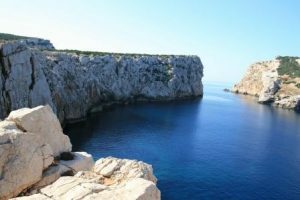 There are a myriad of little secluded bays along this coast which offer great anchorages for swimming and a feeling of enjoying this beautiful coast in relaxed privacy. One week may be too little for a yacht charter in this area, but everyone should spend at least a week on charter cruising along the Costa Smeralda.